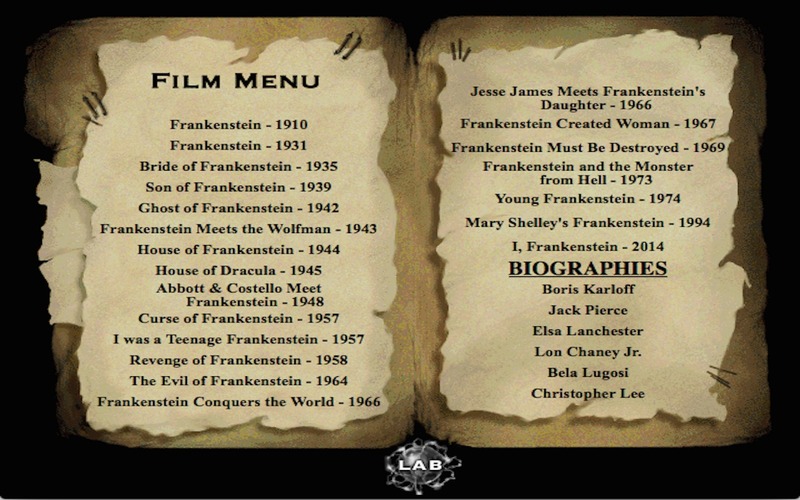 Explore the world of the Frankenstein monster from beginning to end. Is there a better alternative to Interactive History of Frankenstein? 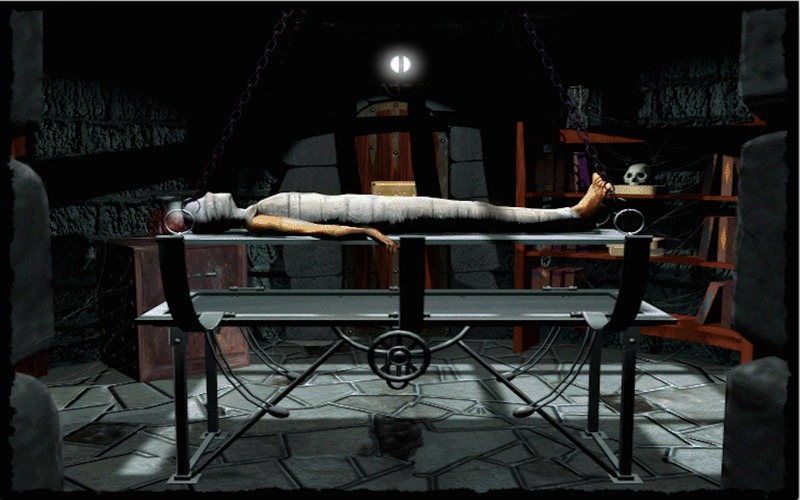 Is Interactive History of Frankenstein really the best app in Entertainment category? 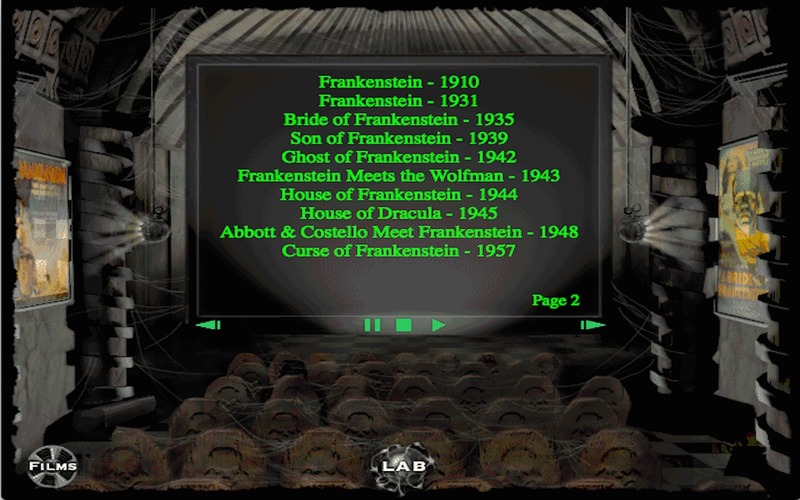 Will Interactive History of Frankenstein work good on macOS 10.13.4? Interactive History of Frankenstein needs a review. Be the first to review this app and get the discussion started! Interactive History of Frankenstein needs a rating. Be the first to rate this app and get the discussion started! The Interactive History of Frankenstein lets you explore the exciting world of the Frankenstein monster, created by Mary Shelley, from beginning to end. 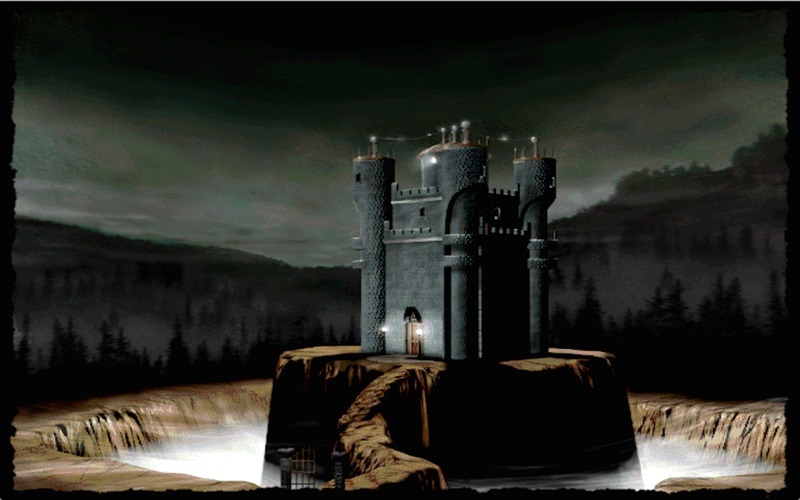 Take a journey to Dr. Frankenstein's castle and laboratory. Explore the lab, with the doctor's assistant Igor, to find fascinating information about this iconic character. Listen to a serial radio episode of "George Edward's Frankenstein" by candlelight. Watch a TV trailer for a classic episode of "The Munsters". Watch many movie trailers of films created with the monster as a main character. Turn the lights down low and read either the early or late version of Mary Shelley's infamous novel, in which this extraordinary monster was brought to life. 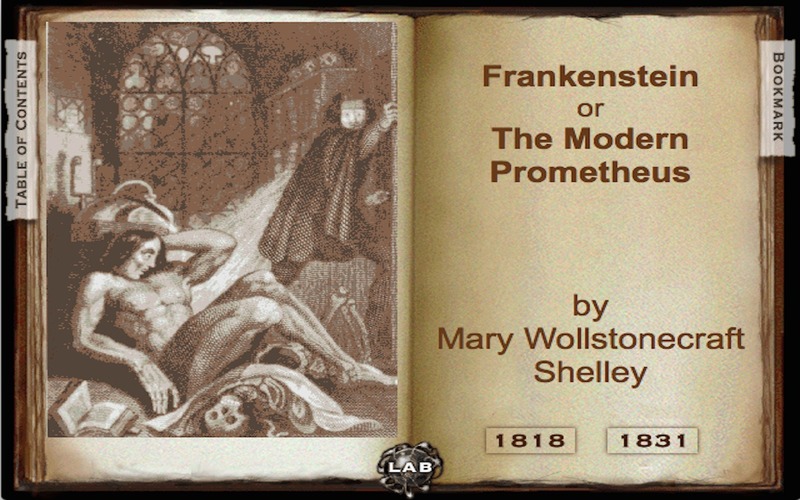 Read about Mary Shelley herself and how she came to create this character. See rare photographs of the original make-up created by Jack Pierce, including an exclusive interview with Oscar Award winning make-up artist, Rick Baker, who was greatly inspired by Pierce. Read in-depth biographies and filmographies of the classic actors who portrayed the monster, and watch them become the monster before your very eyes! Read the in-depth overview and critique of all the most famous incarnations of the monster in film, and see rare movie posters and lobby cards used to intrigue viewers. This is a great resource for any classic horror fan that you can visit again and again and find something new.